Milton Street Public School Wins 2018 Heritage Award | Snyder | transformative design. controlled outcome. We are pleased to announce that our recently completed Milton Public School has won a 2018 Milton Heritage Award! The award ceremony took place on February 23, 2019 at Milton Town Hall. We worked with heritage consultant, MW Hall Corporation on this project. The façade of the original century-old schoolhouse building was preserved, restored, and incorporated into the new state-of the art 2-storey elementary school. The heritage component of this project is the feature of the new Library/Learning Commons and creates a truly unique learning environment. 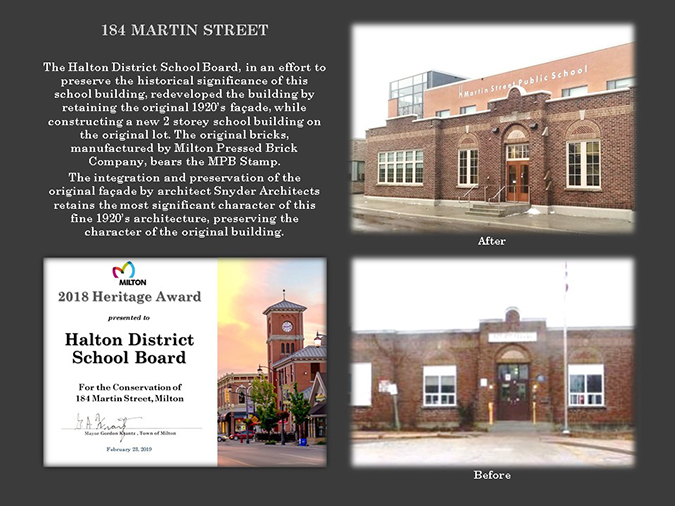 Congratulations to the HDSB on your vision to preserve this significant piece of local heritage.